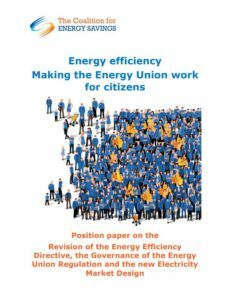 The Energy Efficiency Directive is an integral part of the European strategy of establishing a competitive low-carbon economy by 2050. The building sector accounts for over 40% of EU energy consumption and the saving potential in this sector remains largely untapped to date. Considering that most of the buildings that will exist in the EU in 2050 are already constructed, reducing the energy consumption from existing buildings must be prioritised if Europe is to meet its energy saving and CO2 emission reduction objectives while supporting economic growth. Glass for Europe works with the Coalition for Energy savings and the Energy Efficiency Industrial Forum to ensure an effective energy efficiency policy framework for the European Union.